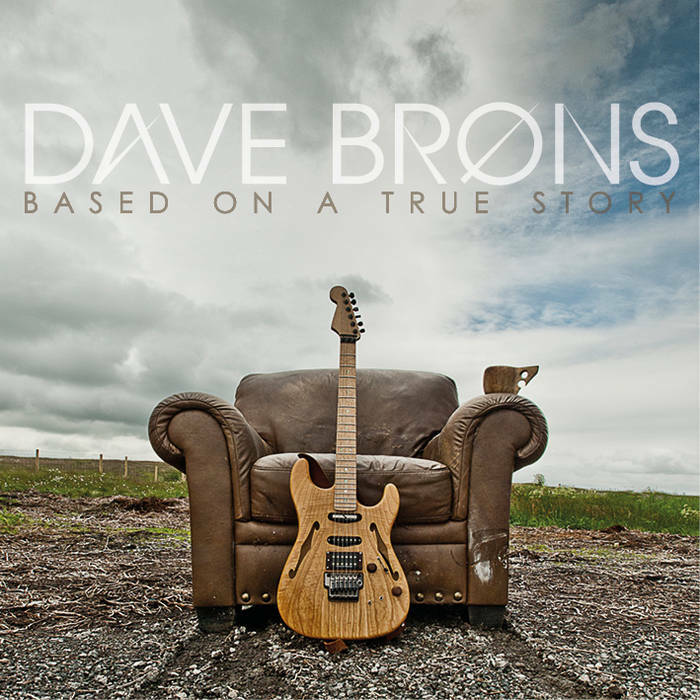 If you like Trans-Siberian Orchestra you will probably like Dave Brons’ new release Based On A True Story. Anyone who is interested in guitar oriented instrumental music should check Dave’s music out for sure. As a disclaimer, Dave and I are friends, but he did not give me the album to listen to on my iPhone for free. I bought the digital download from his bandcamp.com page. You can listen to the music streamed for free if you like, but I prefer to have actual .mp3 files on my devices, plus I want to support as many musicians as possible by purchasing their music. Creating and recording music is hard work and the people who take the time to do such things should be compensated for their efforts. The really cool thing about Based On A True Story is that the each piece tells a story without any lyrics whatsoever. The album is very well done, and there is plenty of space for the music to breathe. Plus for a guitar oriented album the guitar parts are not overdone and fit together nicely, which is refreshing. 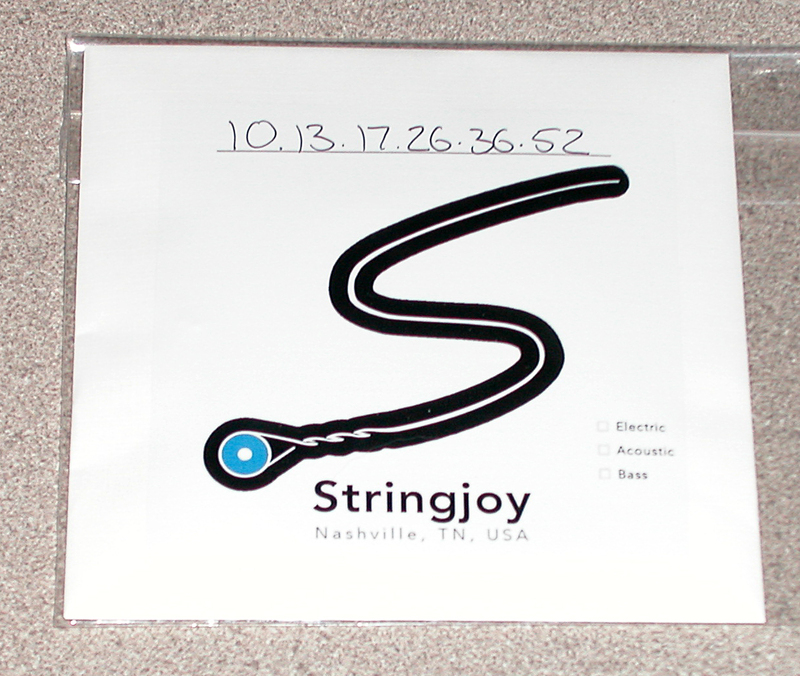 I found out about Stringjoy guitar strings through Twitter. I decided to check out their web site, and thought it was a cool spin on selling guitar strings by being able to specify the gauges of strings you would like in your set rather selecting one of the predetermined sets other guitar string manufacturers put together for you. I decided to try a set that I have been putting together myself, which I learned from Sfarzo strings, but the Sfarzo strings kept breaking prematurely, between a Dean Markley 10-46 set with the .46 gauge string replaced with a .52 gauge Ernie Ball low “E” string. This string set works really great for Drop D tuning, and Standard tuning as well. The string gauges are .10 – .13 – .17 – .26 – .36 – .52 for the custom string set I specified, and the cost was $9.00 including shipping and the new customer 10% discount. What’s great is you can order just one set like this or ten. I just strung my Les Paul Studio up with these strings yesterday, so I am in the initial testing phase with these strings, but so far my initial impression of the strings are positive. I will do a full review after I am finished testing the strings thoroughly. 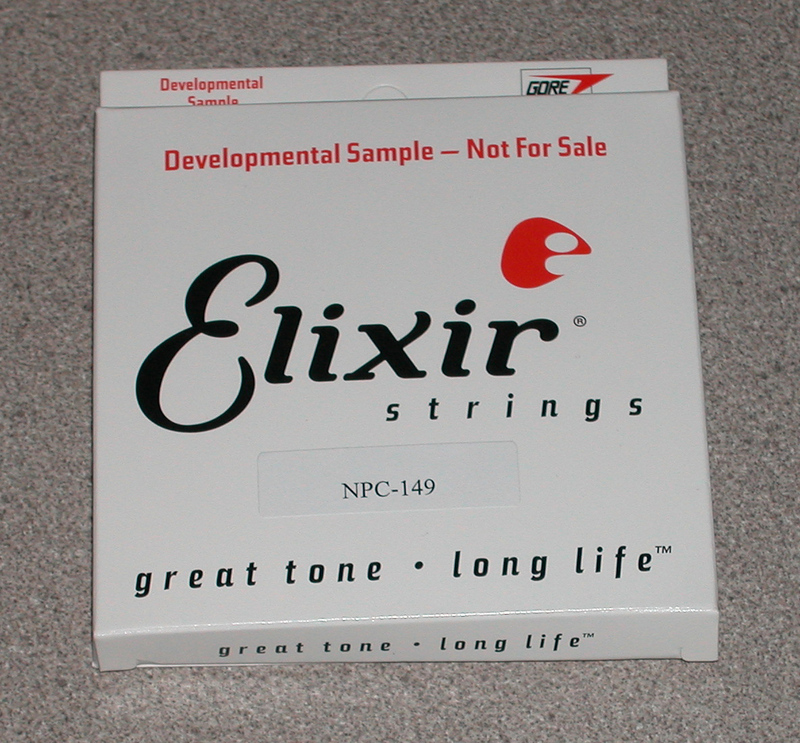 I have been selected to test a set of Elixir guitar strings. I’ll string these up and give them a thorough test drive. In an up coming review I will let you know what I think about the strings. Since I’m on the kick of posting about rock bands that I like. Cheap Trick is the next one on my short list. My favorite Cheap Trick albums are Heaven Tonight, Dream Police, and of course Live At Budokan. In Color is a good album too, but the studio version of I Want You To Want Me is so wimpy (the live version is much better). One song that slipped past my radar was Downed (it is on the In Color album from 1977). Downed was on the audition song list for a band I recently auditioned for, and the song is a killer song. Probably one of Cheap Trick’s best. Give the songs below a listen and enjoy! Head East is one of those bands that I always thought would be huge, but just never seemed to get there. I still really like them though. Top notch vocals. If you haven’t heard of them listen to these tunes. Head East Rocks! Closer To The Heart is one of my favorite Rush songs of all time. Here is Rush in their prime laying it down. Great band, great musicians… What is your favorite Rush song? Gravity Guitar Picks hails from Manteca, California. 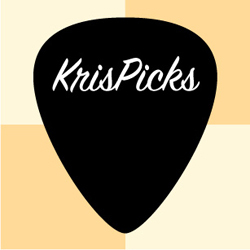 They manufacture and sell acrylic guitar picks to guitarists everywhere through their web site, and select dealers around the globe. I classify Gravity’s guitar picks as specimens of the boutique ilk. 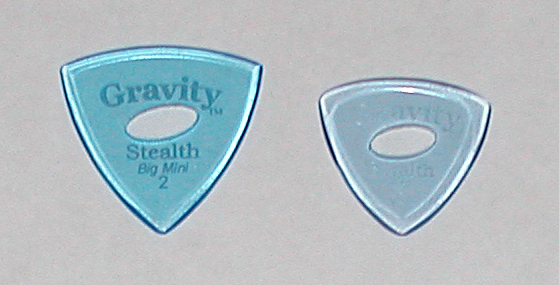 I purchased the Gravity Stealth in the Mini and the Big Mini sizes both with an oval grip hole in the 2.0 mm thickness from Gravity Guitar Picks’ web site. Shipping has been fairly quick for the U.S Mail, in the 4 – 7 day range from California to my Midwest location (I have purchased picks a few different times from Gravity Guitar Picks). I did not expect super fast delivery for the reasonable and affordable $2.99 shipping charge I selected. There is also a 2-day Priority shipping option for $10.00 if you need your picks delivered sooner. Price: Starting price is $4.99/pick for the 1.5 mm thickness, and goes up from there depending on the options you choose. The picks reviewed currently cost $6.99 each. The Gravity Stealth 2.0 mm guitar pick is manufactured from transparent acrylic (Polymethyl Methacrylate to be exact) that is tinted blue in color, and has three identical pointed tips to pick with. It is like getting three picks for the price of one. Bonus! The oval grip hole makes it easier to hold onto the pick especially in the Mini size. Regarding the Big Mini size, the oval grip hole is okay, but a series of holes drilled into the pick in a circular fashion would work better in my opinion for a more comfortable grip on the pick. Both picks reviewed have polished bevels, but the bevels are not the same on the two sizes. The Stealth Mini’s bevels span further across the the three tips with more of an angle than the bevels do for the Big Mini size that I received. I was a bit disappointed since I like the bevel on the Stealth Mini better than on the Stealth Big Mini for fast playing and tremolo picking. To be fair I ordered the Stealth Mini at an earlier date, and ordered the Stealth Big Mini when Gravity had the Stealth picks on sale at a later date, so they were not both manufactured at the same time or shipped in the same order. Perhaps Gravity decided to change how they beveled the Stealth over the month or two time frame. With a thickness of 2.0 mm each these picks are very stiff and do not bend at all in actual use.The relatively pointed tips on the two Stealth models allow for good clean alternate picking (The Stealth Mini has slightly more rounded tips than the Stealth Big Mini) . The bevel on the Mini allows for slightly better string release when picking single note lines and when tremolo picking. The Big Mini tends to work better for chord work than the Mini. Both picks glide over the strings fairly easily. 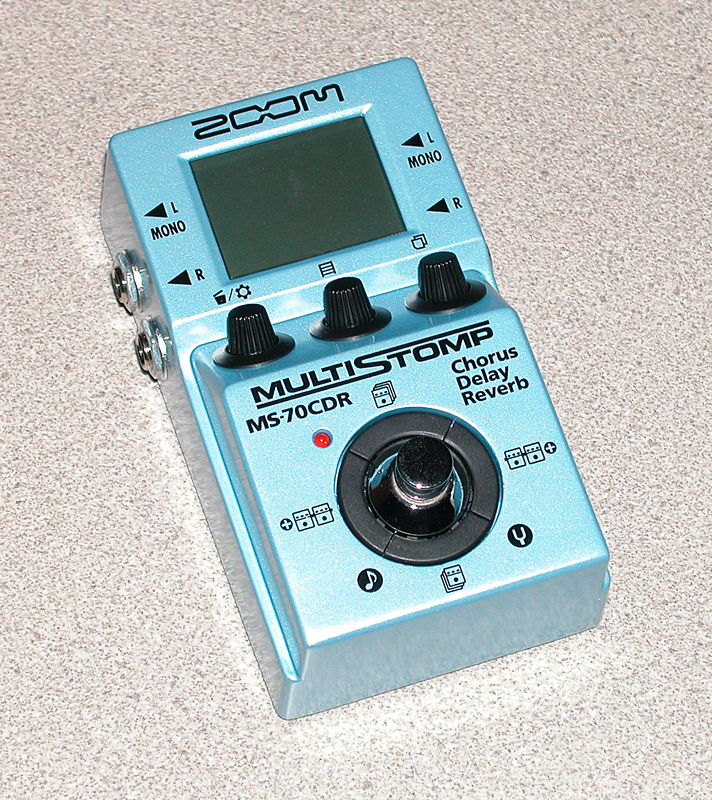 The Stealth Mini has a smaller sound and the tone is bit blurred due to your index finger hitting the string as you strum and pick notes, which is typical of a Jazz sized pick. The Stealth Big Mini has a larger, clearer, more focused sound than the Stealth Mini due to the added size and mass of the pick, and the more pointed tips. Plus there is a enough pick real estate in the Big Mini size for the index finger to not hit the string(s) when you strum and pick if you don’t want it to. This gives you a clearer sound with less blur/warmth. There are pluses and minuses for either pick depending on your preferences. It is interesting how two picks made from the same material, and relative shape can sound different in actual practice, but they do. The Stealth Mini wins for single note picking speed and warmth. The Stealth Big Mini is the better choice if you are looking for clear note separation, clean articulation, and crisp chordal work. I have found the Stealth to show very little wear from playing, which means you can expect these picks to last you a long time if you don’t lose them first. A very cool bonus feature this model and some of the others that Gravity makes is you can play faster by just using the pick without any additional practice time. Pretty nice benefit if you ask me. Who Is Your Favorite Guitarist? Randy Rhoads has been one my faves ever since I first heard the Blizzard of Oz record when it came out in the early 80’s. That album was a game changer for me. I was also lucky enough to see him play live in 1981, which upped the ante on how good he really was. Mind blowing guitar work for the time. Here’s a video I found on YouTube for your enjoyment.